Argos has teamed up with Sainsbury’s with plans to open digital stores within 10 existing supermarkets. Argos has teamed up with Sainsbury’s to open digital stores within 10 existing supermarkets. 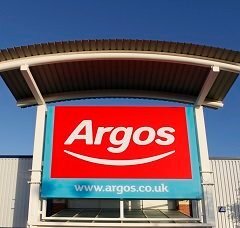 Argos will offer customers 20,000 non-grocery products which can be bought in-store via tablets or reserved online to pick up from store later that day. The extended range of 40,000 products will also be available to order in store for home delivery. The 10 digital stores will be between 1,000 and 5,000 square feet and are planned to open by summer 2015. John Walden, chief executive of Home Retail Group, said the new Argos "hub and spoke" distribution model has allowed the retailer to give customers a large choice of products regardless of the size of the store. The new model was tested in January 2013, where a number of large Argos stores provide the full product range for the entire estate of 756 stores across the UK, enabling customers to receive their goods within a short time period of reserving online. “This strategic capability has opened up options for a variety of new Argos stores and formats, and the possibility that we can now cost-effectively reach more customers and neighbourhoods with an Argos presence,” said Walden. Over the past year, Argos has been in the midst of a transformation plan to digitise its brand, unveiling its first digital concept store in Old Street, London, in November 2013. This was the first digital store which seamlessly ties together Argos’s online, mobile and in-store shopping channels. Parent company Home Retail Group believes market growth in digital channels will continue to outpace the retail market, and by focusing on these channels it believes it can secure further growth. Argos has also seen its online sales reach 43% of total revenue, as well as sales from mobile devices increase by 45% in the past six months. Some 22% of sales now come from mobile or tablet devices. Meanwhile, Home Retail Group’s other brand Homebase recently upgraded its website which helped multichannel sales grow by 12% year-on-year, representing around 7% of the retailer's total sales. The DIY retailer is now pursuing a three-year transformation plan following the success of its sister store Argos.